Home Blog | Wheels & Tires News Should I Buy Studded Tires? Should I Buy Studded Tires? If there was one single winter tire so versatile that it could meet every driver’s needs, you would not be reading those lines. Unfortunately, such a tire does not exist… yet! However, it is still possible to find winter tires that perfectly suit your needs if you look for the right thing. Of all the tires on the market, studded tires might be a great option for you. Unlike some people think, studded tires are allowed everywhere in Canada during winter (the exact dates vary depending on the province), except in southern Ontario. According to your location and your commuting habits, maybe you could benefit from that type of tire. Without further ado, here is what you need to know about studded tires. Studded tires almost disappeared when specialized winter tires with enhanced traction on ice were created. However, in the past few years, tires with studs have become increasingly popular. This is partly explained by the fact that some manufacturers now install the studs directly in their factory, like a couple of European manufacturers that sell tires with a studded tread. Retailers can also stud some tires that were especially designed for it. Studded Tires: Are They for Me? When shopping for winter tires, you should start by considering your commuting habits. Do you mostly drive in the city, on highways, or on secondary roads? If you live in a rural area, you often use secondary roads and sometimes go on a road trip for the weekend, studded tires may save you some trouble. You will feel safer with this type of tire because it provides effective braking and enhanced grip on ice. On the opposite, if you mostly drive in a city where asphalted roads are rarely covered with ice or snow, regular winter tires are certainly a better option for you. If you choose to install studded tires on your car, you have the legal obligation to change all four of them. Moreover, you should know that studded tires are forbidden in several parking garages and underground parking lots. If you plan on buying studded tires, note that there are two types: tire studded at the manufacturer’s factory and tire studded by the retailer or the distributor. Both types of studded tires have pros and cons. But what really matters are the road noise, their performance, and their durability. Tires that are studded by the manufacturer are undoubtedly of better quality. 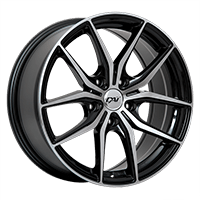 They provide superior performance, increased durability and a quieter ride. Because of their particular shape that optimizes the contact with the road, the studs in those tires offer a smoother ride and enhanced traction. This technology was developed by European manufacturers to contribute to a more efficient and versatile tire. Some people prefer tires that are studded by the retailer because they are cheaper. However, they are louder and less durable. Significantly more basic, these tires’ studs produce a greater impact on the ground which makes them louder. 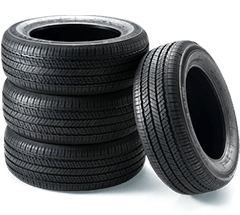 The main benefit of tires studded by the retailer is that you purchase an average quality tire and have installed afterwards at a much cheaper cost. Drivers who regularly drive on snowy, icy, or poorly maintained roads should think about getting studded tires. They provide significantly shorter braking distances and give you better handling dangerous conditions. If you plan on keeping your car for several years, you should know tires studded by the manufacturer are a better investment. However, if you have a smaller budget, you can purchase average winter tires and get them studded afterwards. They are more affordable and provide good performance.